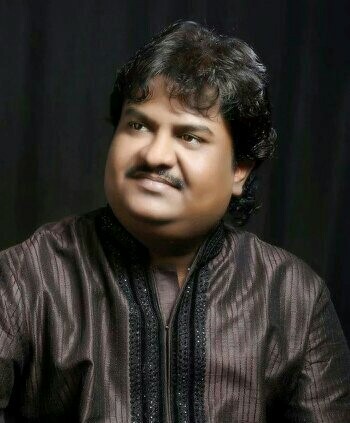 The legendary Gujarati folk singer Osman Mir –widely known at the “Pride of Gujarat” – is visiting the UK for a series of sell-out shows this weekend. Mir who was born in Kutch, is today a name to be reckoned with in the Indian music industry. Having started out as a traditional folk singer, Mir made headlines when he made his Bollywood playback breakthrough with “Mor Bani Thanghat Kare” from the movie ‘Ramleela’. Osman, a practising Muslim, is also a devout follower of Morari Bapu. He first performed for Bapu on the Hindu auspicious day of Gurupurnima, where his true talent was discovered. Mir has since sung hundreds of ghazals and bhajans for Bapu in India and abroad. With the breakthrough hit “Mor Bani Thanghat Kare”, Sanjay Bhansali had heard this song some eighteen years ago in the voice of Gujarati folk singer late Hemu Gadhavi and quickly became his dream song. Sanjay had heard Osman on Youtube and he had firmly decided to give this song to Osman to sing. Mir has also given playback for nearly 60 Gujarati movies. He has also performed across the globe in 25 countries. During Mir’s UK tour he will also be performing in an exclusive musical programme in the House of Lords, in the Mother of all Parliaments. This is the first time any Indian singer has been given this honour. The event hosted by Lord Popat is to be pay tribute to a number of British Indian musicians for their contribution to music in the UK for over the last 40 years. Musical guests include Mohammed Kasam, Anila Gohil, Deepak Khazanchi, Mahesh Gadhvi and many more. Mir will be performing at the De Montfort Hall in Leicester on Saturday 22 July and the Watford Colosseum in London on Sunday 23 July.